The Cutting Room Floor page for Final Fantasy XI is live! If you’re unaware, TCRF is a website used to document unused content from video games. 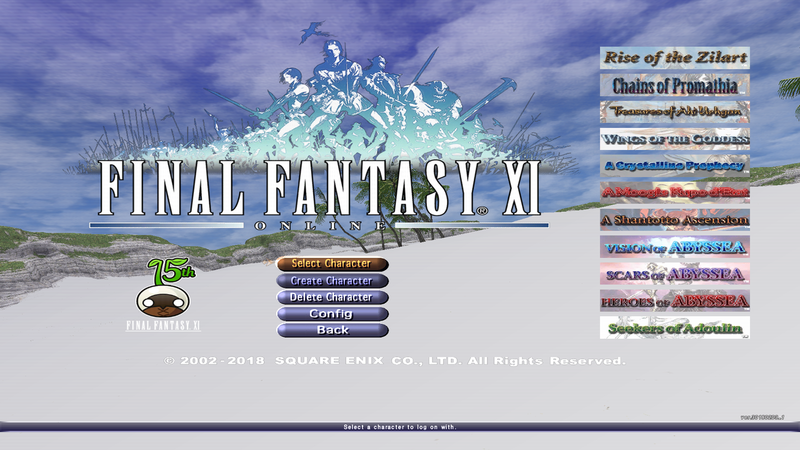 An FFXI page didn’t exist, so I decided to create one for the PC version of Final Fantasy XI. I’m debating making a more extensive blog post to sum up my findings. Special thanks to Rich Whitehouse who created the Noesis 3D model viewer tool and added support for Final Fantasy XI. I likely wouldn’t have taken up this project without his work allowing me to view and export data from the game. Also special thanks to OtherEhm, who helped with using HxD and provided general support for setting up the TCRF page as well as deciphering data from Final Fantasy XI. This week I report on my progress with the TCRF page for Final Fantasy XI, PUBG’s removed weather effects, the death of the Wii Shop Channel and, finally, some God Eater 3. This week I talk about my general feelings after finishing Xenoblade Chronicles 2 as well as the most recent Valkyria Chronicles 4 trailer. This week I talk more about Final Fantasy XI data mining and cut content as well as quickly go over the Nintendo Direct announcements. Panzer Dragoon Orta is final entry in the Panzer Dragoon series and one of the many exclusives released on the Xbox by SEGA. The title retains the style of the previous SEGA Saturn entries, but expands the scope of the gameplay with multiple Dragon forms available to the player at any moment. This week I discuss the ever closing deadline on WiiWare/Virtual Console and my recently obtained PC-FX.